Beautiful golden ghee is a favorite of cooks and those suffering from allergies. 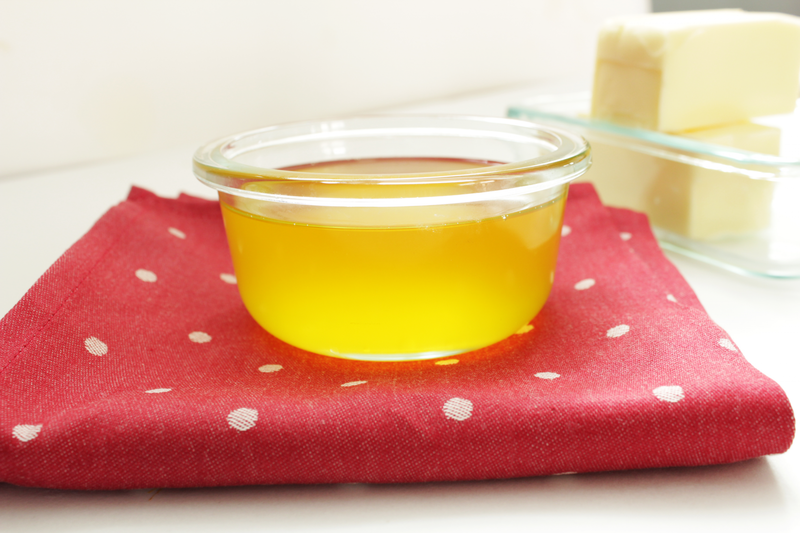 Ghee is clarified butter; butter that has had the small amount of milk solids (protein and lactose) removed. 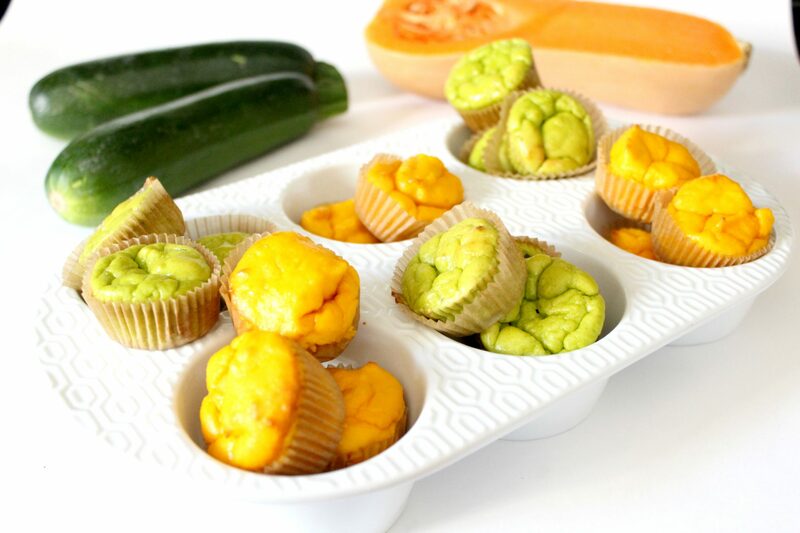 By removing these solids, you are left with a delicious butter-flavored cooking fat that has a high smoke point and is safe for most people with dairy allergies or sensitivities. Ghee is also stable at room temperature for a long time, making it ideal to leave out at ‘spreadable’ temperature. 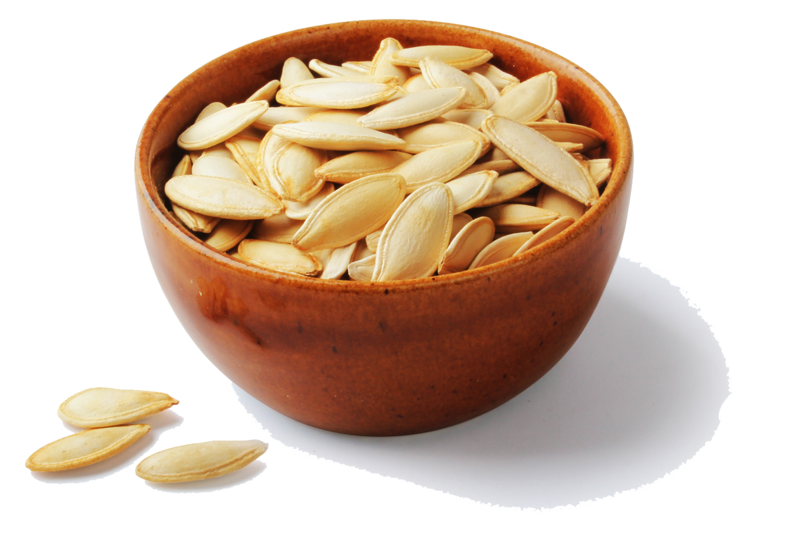 The GAPS diet can be used to heal dairy allergies. When you do this, you want to go through the intense portion of the GAPS Introduction Diet partially before introducing any dairy. My e-book, What Can I Eat Now, was the exact method that I used to heal a life-long dairy allergy, and in that ebook we go completely dairy-free for the first stage, and then ghee is the only dairy that we consume for the rest of Intro. For Intro you can also use tallow and other animal fats, but most people are excited to be able to introduce delicious ghee for the buttery flavor. 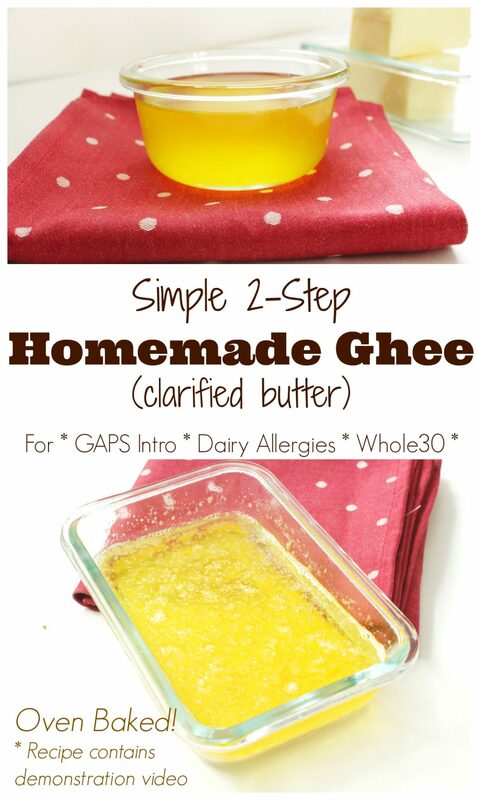 Those with dairy allergies may find that they can have ghee, but get a mild (or more!) reaction to butter that hasn’t had the milk solids removed. Whole30 is another dietary protocol that eliminates dairy, but allows ghee since it is clarified butter. You can read more about the Whole30 protocol here. Ghee is a pleasure to work with in the kitchen, but compared to butter it is quite expensive! Good news is that we can make it in our home kitchen easily. Baking butter to make ghee is my favorite method. It’s a very ‘set it and forget it’ method and only requires a few minutes of hands-on time. You can also scale it well and make a large amount at one time. Ghee is a delicious fat made from butter. It is allergy-friendly and has a high smoke point that makes it a pleasure to use in the kitchen. Preheat oven to 140-250º. Place butter in an ovenproof dish or pan. Bake for 45-60 minutes, take out very carefully, and pour the golden fat from the top, being careful to leave the white milk solids in the pan. Keep in a glass jar and use in place of butter. You can save the buttery milk solids for others who eat butter in the house, or discard. If you are wary of cow dairy, I have purchased goat milk butter before at our health food store–you may be able to ask yours to carry it too, and use that to make goat milk ghee. Even though this recipe is simple and quick to make, it still is one.more.thing. to do in our busy lives. If you would like the benefits of ghee without adding another thing to your already full plate, you can use commercially made ghee. When we did the GAPS Intro for autism recovery for my daughter, I used Pure Indian Foods brand ghee. Pure Indian Foods ghee is made with care from milk that comes from grassfed cows. Sandeep, the owner, is a passionate and amazing human being that I know is providing a fantastic product! I used commercial ghee because I wasn’t yet confident in my ability to completely get all the milk solids out of homemade ghee, and I knew my daughter was quite sensitive to dairy. So we opted for commercial ghee for use until she was able to have dairy again. Even though we no longer have dairy allergies, I do still love having ghee on hand because of its high smoke point for cooking. We often use it for frying eggs, salmon patties, or anything else that we would use butter for. Thankyou for your reply. Also I’m hoping you’ll answer this please , when making clarified butter or ghee at home the left over milk solids would i use it for baking or put in cauliflower, fish, could i use the milk solids still as butter? Like lets say 1 tbl ghee = 1 tbl butter?? What are advantages of ghee?